2 Bedroom Terraced House For Sale in Exmouth for Asking Price £200,000. SIMILAR PROPERTIES REQUIRED FOR WAITING BUYERS. 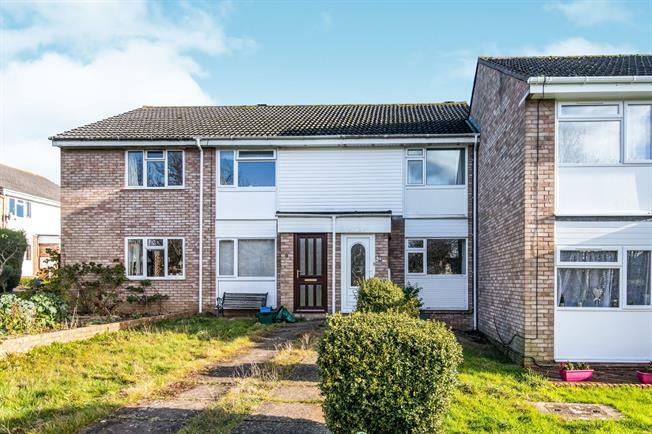 A two double bedroom terraced house in a tucked away location opposite an open green area with a garage in a block and parking space. The well presented accommodation comprises of and entrance porch, good size lounge with stairs rising to the first floor, fitted kitchen and rear porch/conservatory. On the first floor are the two bedrooms and bathroom with three piece suite. With gas central heating, double glazing, enclosed lawned rear garden and garage ina a block, the property is offered for sale with no onward chain and will be of interest to home owners and investors alike.